Rena Quality Group Ltd. offers products and services within waste water treatment and solid treatment. Our focus is directed to our own products and on meeting strict environmental regulations offering the best available technology. Through our services and innovative solutions, we can offer our customers forward-thinking technology focusing on low risk, both environmentally and financially, and to create a safe working environment. We tailor our solutions according to our customers request and aim to achieve our goals by having a positive working environment, qualified personnel, research and quality control / management systems. Screen Washer units are high quality units for cleaning of screens used offshore. With hydraulic driven water pump and easy accesss features these units will reduce time and cost for these operations. Built in stainless steel, Screen Washers are long lasting, durable and robust solutions with small footprint, big cappacity and short time needed to complete operation for one set of screens. RenaPure Unit is a compact, managable, easy-to install and use solution from Rena Quality Group AS. Designed for the treatment of produced water, this unit utilizes ceramic membranes and cross-flow filtration to ensure low oil content in water – less then 5 ppm of oil in effluent. Induction Thermal Desorption unit (ITDU) is specially designed for the processing of oil contaminated drilling waste such as drill cuttings and slop-mud. It uses induction to rise the temperature above the boiling point of water and oil. Hydrocarbons (base oil) are reclaimed and discharged solids meets the majority of offshore discharge regulations globally. The unit is easy to operate and able to treat cuttings to <0,5%. Vacuum unit are built as a fully automatic unit, any waste that are sucked into the vacuum tank via the suction inlet will be automatically discharged to any location via the discharge connection, and this will ensure nonstop operation. Rena Quality Group has been certified according to Achilles Joint Qualification System and to the latest publication of ISO 9001:2015 and ISO 14001:2015. Joint qualification system for suppliers to the Oil industry in Norway and Denmark acording to Achilles. Engineering, design, sales, rental and services of sustainable and environmental friendly solutions according to NS-EN ISO 9001:2015. Following latest Norwegian and international standards. Rena Quality Group Ltd. posesses the latest ISO9001/14001 certificate as well as Achilles Joint Qualification System for suppliers to the oil industry in Norway and Denmark. We have our development, design and engineering team as well as management located in Stavanger, Norway. Our team is focused on high professionalism with skilled management and engineers, which provides our customers with state of the art systems and solutions. Our main focus is on developing and introducing new methods in water treatment and drilling waste management in compliance with the strictest legislations. We have developed our own IP which is unique within environmental and energy savings solutions. 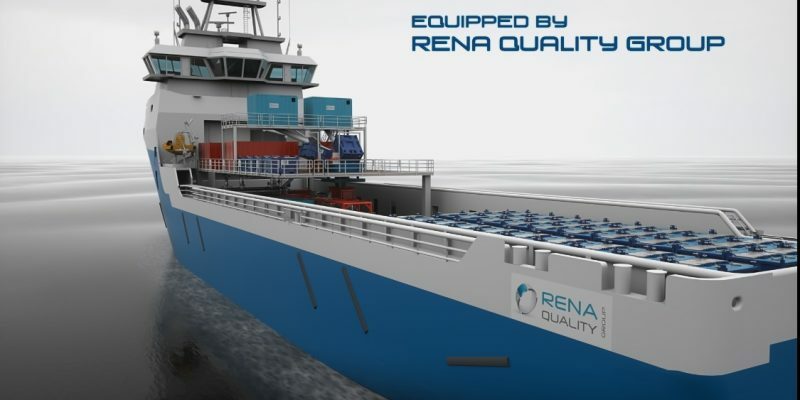 A core part of our business at Rena Quality Group Ltd. is to create sustainable solutions within waste water treatment and drilling waste management, which minimize environmental footprint. Latest technology for drill cuttings treatment, designed with high quality equipment, induction elements and unique design of processing chamber and condenstaion chamber.